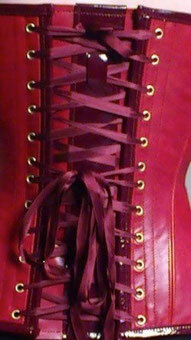 The presented corset was the first I had sewn twice in a row. 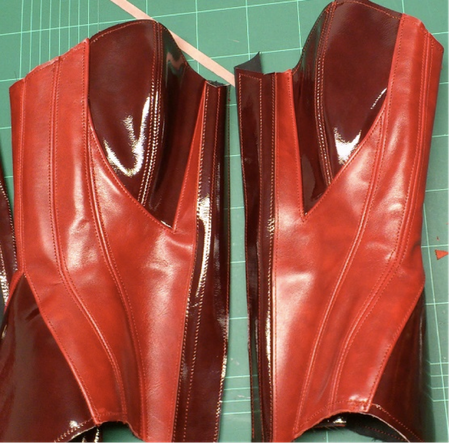 To avoid numerous fittings for my model, I made the first corset for myself and adapted the second one to her size. That also gave me the advantage to find out about the little hindrances you always meet during construction. Finding the right material, was the first step for this inspiration to come true. Then I took all the measurements you need to draw a pattern according to the instructions of “draft your own Corset pattern”. After having drawn this pattern, I made the first mock-up. I inserted the bust gussets I had found in a historical pattern, put in a hip gore, and changed the remaining seam lines, so they would fit the new design. Of course, the pattern had to be adjusted to the new cut. Then a second mock-up had to be made and fitted. I decided to flat fell all the seams to avoid bulking. The bust gussets were particularly difficult. In order to get a smooth formed cup, I had to thin the edges, before sewing them together. 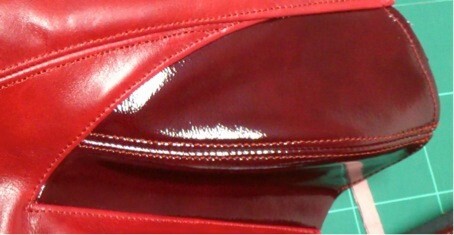 As I didn’t want to disturb the seam lines, I only boned the inner coutil layer. The waistband had been basted to it, before the boning channels were added. Eight spiral steels with two different width and two flat steels for the centre back were all finished off with rubber shrink tube, which really works fantastic. 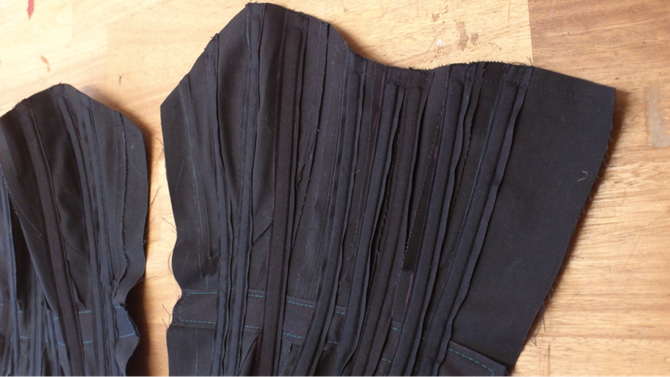 was a challenge, because closing the corset is impossible if there’s too much material at the busk edge. It took some effort, but finally I succeeded in joining both layers – in the front as well as in the back. Then I stitched a line at the upper and lower edge to prepare them. 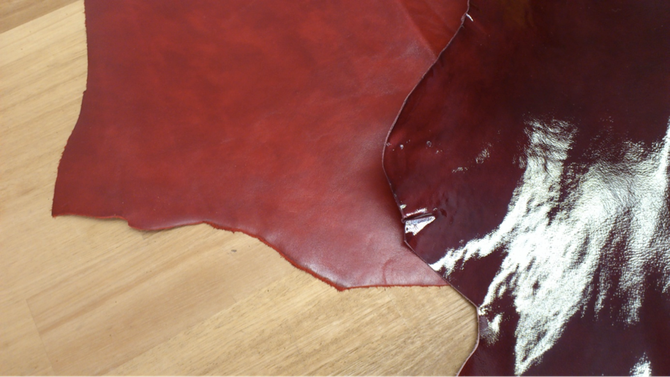 I used a pre-folded leather strip for binding, which I attached with glue strip before stitching. Finally, I produced a floating modesty panel with a sturdy interfacing, that wouldn’t crease when the corset is pulled tight. I tried the internal boning method for the first time and I’m really happy with the way it turned out: The panels are smooth and the flat felled seams accentuate their curvy lines without being interrupted by straight seams.